You will need to have replied to somone's post or created a new topic. Then you will get a window open up. Go to the 15th Icon from the left above. It looks like a Pic with a Floppy in front of it. It will open a www.servimg.com Window. NOTE: You will have open a Free Account if you don't already have one - follow the instructions. Set your Resize Image - the BIGGER the better for us Old Blokes with failing eyes. Default is 800 for Forums - is good. <Left Click> on the down arrow head. <Left Click> on the size you select. File will already be checked. You will now be able to browse the pics on your Computer. Select the Pic you wish to post <Left Click>. Click again on the 15th Icon from the left above. It looks like a Pic with a Floppy in front of it. This will close the ServImg box. When you've finished writing whatever you wish, you can preview <Left Click> "Preview" to see how it all looks and check for spelling mistakes etc. then you can post by <Left Click> "Send"
Voila you have your Pic provided it isn't too large >2MB. How do you put an avitar on your profile, any help please? tailgater wrote: How do you put an avitar on your profile, any help please? Hey Dale, up the top of the page just under the picture and heading, there's a list that includes Home, messages, log out etc. Click on the profile one, it'll one up another page for you, in your profile page, across the top is similar again and there's and avatar link. Click on it and go from there. If you still have a hard time, email me your pic mate and I'll add it up for you. There have been a few asking how to do this, so I thought this was worth posting up. On the Toolbar below the main picture click on "Profile". Click on the "Avatar" Tab. Select where you want to upload your Avatar from. E.g. Upload from your Computer. Click on "Browse" to select the Pic from your PC. NOTE: Your Avatar can be no bigger than 150pixels Wide x 200pixels High. Once you've selected your Pic and ok'd Click on "Save " below the page. At the top of most if not all Forum Directories I have posted up a Topic titled "How to Post Pictures/Photos." I prefer to use PhotoBucket myself, but you'll need a PhotoBucket Account. 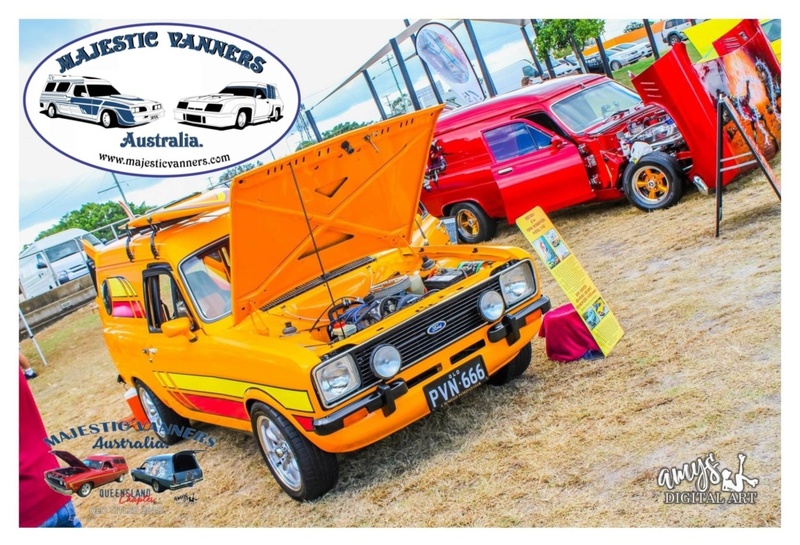 Add a Majestic Vanners' Banner to your Posts on Other Sites. I'll explain how to do it when I get some spare time later. Simply Start by copying the Pics to you Computer. All done! Thanks for pics Rusty. Now we just have to get you (and everyone else) to add it to your Signature on other Forums. I'll post up the "How To" very shortly. Go to your other Forum. Log In if you did not automatically do so. Click on “Signature” in the Profile Menu. Now you can post an image in the Text Box. I prefer to use an Image String [IMG] from my PhotoBucket Account (Having saved the above Images there) or you can post an Image directly from your Computer by following the “How to Post Up Your Avatar and Post Pictures/Photos.” Topic. You will then need to Click the “SAVE” Button at the bottom of the Screen. You may choose to “PREVIEW” it first, then “SAVE”. I did all that last night Rusty, but unfortunatly it doesn't add it to previous posts. 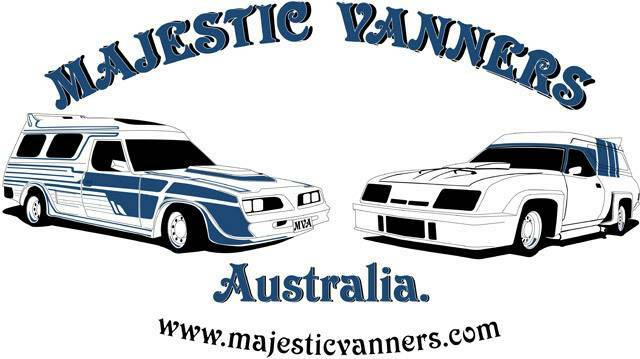 Luckily I introduced myself as a Majestic Vanner straight up, and the photos I posted all feature the 'Majestic Vanners Australia' sticker on my van! Rest assured any further posts will feature the banner along the bottom. It's all about promoting MV and getting as many as we can on here. I have put it on one of my other hobbys sites and got an offer for some personal plates for a Van straight up! I'll put it on a few others too. HQVAN wrote: I did all that last night Rusty, but unfortunatly it doesn't add it to previous posts. There must be a step that I have missed. It should have updated all your posts. I checked my posts on another Vanning Forum back to September 2009. They all have my current Signature and I've changed it a few times. Ps. The Majestic Vanners Stickers on your Van in the Photos certainly do stand out. Coasty wrote: Sorry, testing something else! You'll have to tell us how you did it. If you copy the URL and paste it into your sig as a pic, then highlight it, then click "other" and click horizontal scrolling. I had a similar sig on my vintage bmx site a few years ago.